Many Masterton residents will remember the destructive storm that swept through the town on April 10, 1968. Times-Age reporter Beckie Wilson took a trip down memory lane with Masterton’s Melvin Pike as he remembered the day. 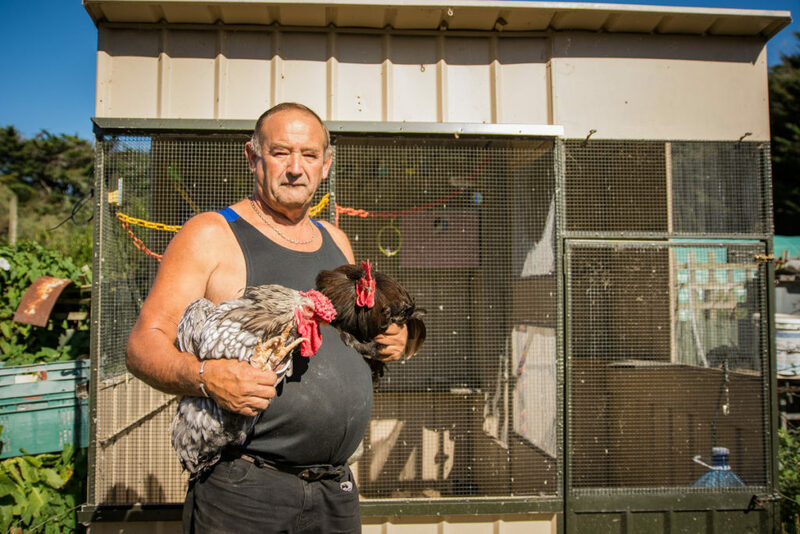 Melvin Pike remembers more than the storm, he remembers the devastation that himself and his family felt as it ripped through their property, taking down their newly-built aviary. 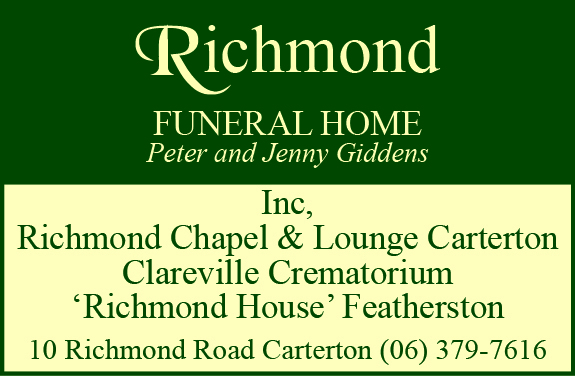 The family lost many of their beloved budgies and canaries as a result. “Everything just happened so fast,” Mr Pike said. 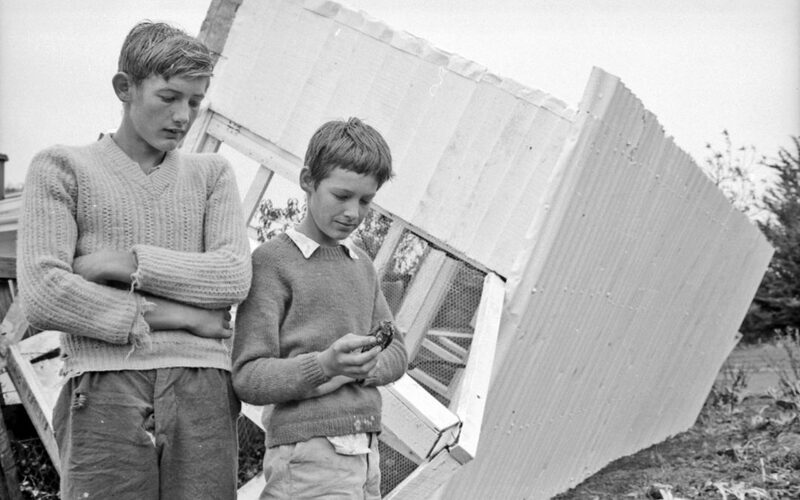 The storm on April 10, 1968 tore down the Pike family’s brand-new aviary in their Masterton homes’ backyard. The family had only recently finished building the new aviary, using Mr Pike’s and his brother Kevin’s paper run money for materials and paint. They lost a majority of their pet birds that day, but, despite the devastating experience, most of the children and the parents, Les and Dawn, went on to live lives surrounded by birds. Mr Pike had not long come home from school when the wind picked up. “It was really rough, we could see what was going to happen and we were outside trying to save it. He described the aviary like an umbrella when the wind rushed at it. The aviary “tipped upside down” and the birds were injured, or flew away with the wind, he said. They lost about eight pairs of budgies, and five or six pairs of canaries. “It was frightening but we were trying to catch the birds . . . we were running along trying to catch them with our hands because we didn’t have time to go back to the shed to get a net,” he said. He remembers the intensity of the storm, but also recalls the sinking feeling when his family turned on the radio to learn about the Wahine disaster that killed 53 people that day. “It was a live radio broadcast, they were they saying there are people pulling people out of the water and wading in,” Mr Pike said. The Times-Age spoke to the two brothers the next day about their brave attempt to save their birds. The article talked about how the birds were in “danger of death from the wind and driving rain”. The boys told the reporter that they planned to build a new aviary on concrete foundations. And that was exactly what they did, Mr Pike said. The brothers eventually built back up their bird collection by breeding, selling, and swapping birds. Their mother, Dawn, put an advertisement on the local radio asking if anyone saw any canaries or budgies to call them – they got two back. He remembers someone gave them some birds, “because they felt sorry for us because we were only kids”. Mr Pike is the president of the New Zealand Poultry, Pigeon and Bird Association. He has worked for the Carterton District Council for 41 years and is the water race overseer. Mr Pike still has many birds, including poultry and ducks on his Clareville property, and he travels all over the country showing them. One of his hobbies is looking after injured birds under his injured bird permit to care for native birds. The region’s vets and Pukaha Mt Bruce all look to Mr Pike when they come across an injured bird. Mr Pike and his siblings enjoyed their father’s hobby of having birds since they were young. 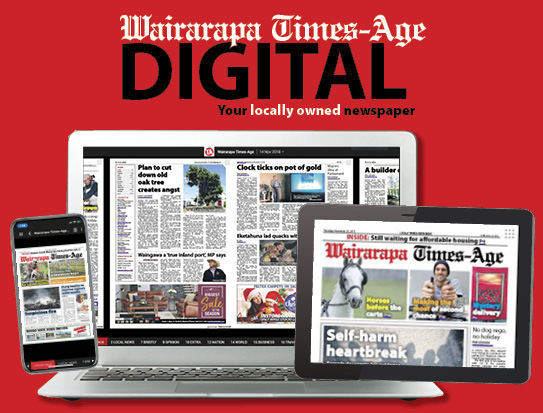 He claims his parents had the largest collection of parrots in Wairarapa at one stage. His father, Les, used to breed native kakariki for the government department New Zealand Wildlife Service. Mr Pike’s brother Kevin owned the Masterton Pet Shop on Dixon St before moving to Australia about 10 years ago.